Grand Classic Corner 8 Room Prewar Coop apartment located on Central Park West and 70th Street. 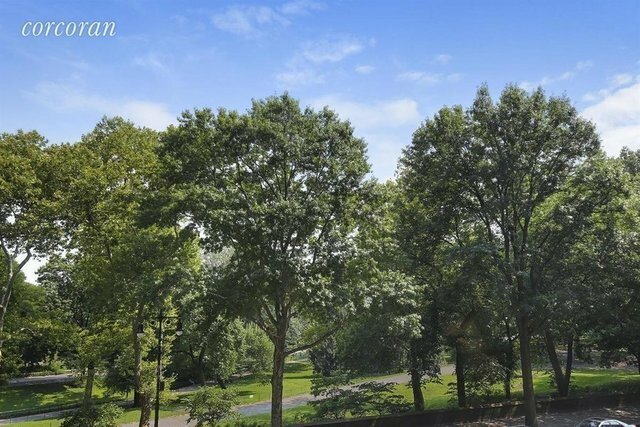 There are direct Central Park Views from the Living Room and Master Bedroom. The Entrance Gallery leads to the Living Room, Dining Room and two separate wings for the private quarters. The 30' by 18' Living Room has 3 over-sized windows with direct Central Park views. This enormous light filled room has a beautiful wood burning fireplace with marble mantle. The corner Master Bedroom Suite has 4 windows facing East and North, a windowed bath room with shower and tub and large dressing area with closets and a desk. In a separate wing there are two large bedrooms with a shared windowed bath room and abundant closets. The 25' Formal Dining Room has a wall of storage. The Kitchen has a walk in pantry. There are also two Staff Rooms. One is converted to a large laundry/utility room and the other as a den with a half bath. This generously proportioned traditional home is perfect for entertaining and has the best front row seats for the Macy's Thanksgiving Day Parade. 101 Central Park West is considered one of the finest cooperative building in all of Manhattan. Built in 1928. Designed by world renowned Architects Schwartz Gross. The building features impeccable service, Resident Manager, Concierge, state-of-the-art fitness center, private storage, bike room and is pet friendly.